ASUC is committed to training and qualifying its workforce and assists in the development of our industry standards for the NVQs. Our industry’s occupational NVQs are currently delivered though the approved centre NSAC (The National Specialist Accreditation Centre) via a linked in Assessor. 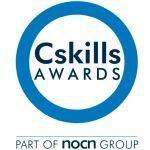 Our awarding body is NOCN-Cskills Awards. Assessments are developed to match the bespoke nature of the specialist industry while minimising downtime and absence from the workplace. The NVQs listed below range from level 2 to 6 offering a very practical career progression from operative on site to senior management. Grants for training are available via the CITB to levy payers and more details on these are available via the Grants page. For the specialist sector, qualifications are obtained via On-site Assessment and Training (OSAT). ASUC can guide you through this process and an Assessor will be able to determine if a candidate has sufficient experience to obtain their NVQ via the OSAT route. He can explain the requirements in clear simple language and help you decide which candidates to put forward. The OSAT route does not require attendance at a college to gain an NVQ as candidates learn their trade on the job whilst being supervised by their employer. When sufficient experience has been gained each candidate is assessed as to their competence by a registered Assessor. An Assessor will visit the candidate onsite to assess their practical competency and knowledge. An Assessor helps candidates build a portfolio of evidence; for example: time sheets, drawings, method statements, risk assessments, witness testimony, delivery notes, photos, etc. The OSAT process recognises competence and awards the successful candidate with a National Vocational Qualification in the appropriate subject. For each NVQ it is necessary for the individual to achieve competence in a number of units – these are specified in the Rules of Combination (ROC). There are minimum credit values and minimum learning hours for each qualification. Units can be mandatory and/or additional. Full details of the ROC can be viewed in the details below by clicking on the More… link under each qualification. provides the opportunity for individuals who specialise in excavated underpinning operations to demonstrate their competence. Read more…. Find a specialist contractor for Domestic: Underpinning & Subsidence Repair Techniques, Engineered Foundation Solutions and Retrofit Basements or an associate company or consultant click here.